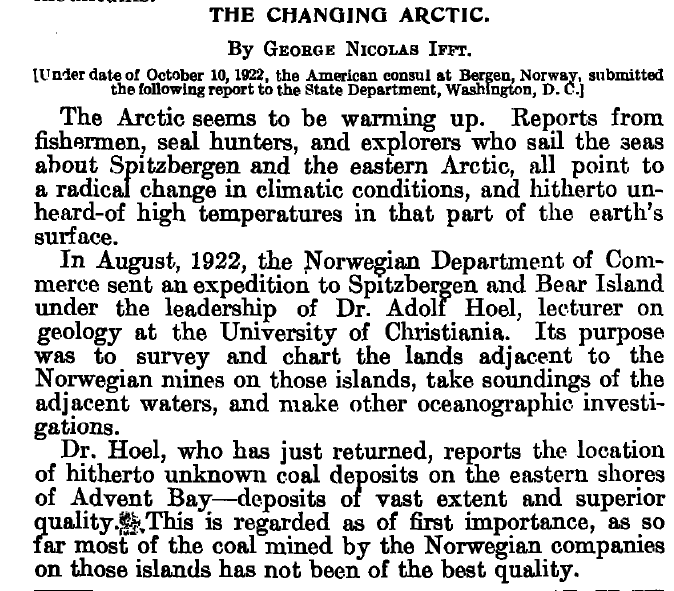 In 1922, the US Weather Bureau, now part of NOAA knew that the Arctic was undergoing a “radical change of climate”, and was “not recognizable” from the climate of 1868 to 1917. They must have had proper scientists in those days. 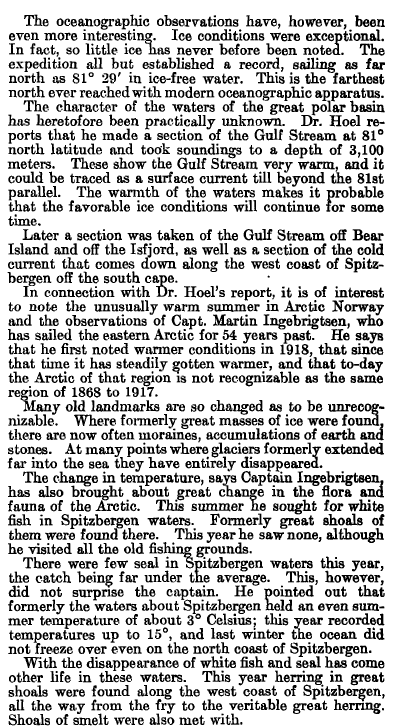 In 1922, the Monthly Weather Reviews were published by the US Weather Bureau, which became part of the newly formed NOAA in 1970. The opening sentences have been corrected to reflect this fact.